It seems that the lovely Swedes from The Piratebay are branching more and more into different Internet services. 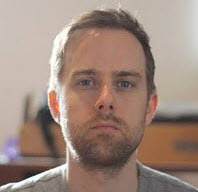 After announcing their Youtube competitor they released an uncensored image hosting service called Bayimg. Uncensored means that it is possible to upload all kinds of pictures as long as they are legal under Swedish law which is pretty much everything imaginable. The site is blazing fast, uses a slick ajaxified interface and tags to categorize images. It becomes more common to use two monitors at once to increase productivity. Several of my friends already have two monitors setup as dual monitors to be able to display twice the amount of information on the screen. This makes perfect sense for users who do need a lot of information on the screen at once. I know some Poker players for instance who use two monitors to play eight games at once. It is actually pretty hard to find wallpapers for dual monitor setups. Sure, you could merge two wallpapers and use them as the background but it is also possible to use dual screen wallpapers from the site that I just found. Turrican was one of the great plattform shooters on the Commodore 64 featuring awesome music, gameplay and graphics. 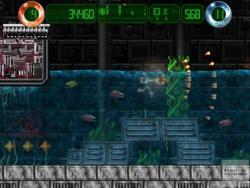 It spawned numerous successful sequels and a group of enthusiasts decided to create a Turrican remake which they called Hurrican. They began working on the remake five years ago and released the final version today. My immediate reaction to the Epoq MP4 wrist watch was that I thought that it was a really cool idea. I was not able to come up with a lot of applications for it but it looked really cool. The watch acts as a standard music and video player supporting formats such as mp3, wma and mp4. Pictures can be viewed as well and everything can be uploaded using a normal USB 2.0 port. The mp4 wrist watch comes with different storage capacities, the largest being 2 Gigabytes of space which should be enough for lots of videos in that resolution. There is also the option to choose a widescreen lcd display instead of a normal one. Did you know that the iPod is supporting two additional audiobook features ? Audiobooks in the m4b format support the adjustment of the reading speed and pointers to the last reading position of the audiobook. Those features are not available if your audiobooks have the extension mp3. What Online Services would you recommend? I saw this topic at the Connected Internet blog and thought that it would be nice to round up all the Online Services that we can't live without anymore. I'm not speaking about Email, Usenet or ICQ but websites that offer something that you really enjoy, would recommend and don't want to miss anymore. Don't you hate it when Windows creates a new folder all the time with the name new folder ? This can be quite problematic if you have to create a number of folders in a row or during your daily routine. Microsoft Office introduced several new file formats which can't be read by older versions of the various Office products. I'm not sure why Microsoft decided to change the file formats but it is really a hassle for me. I'm running Office 2007 on my system while my girlfriend is still running an older version of Microsoft Office. It happened twice already that she worked on my computer and saved a Microsoft Word format in the new format (.docx) and was not able to read the file on her computer. She does not have Internet access there which means that it was really problematic to get the right format on her computer. Windows Vista Ultimate users have Dreamscene which brings video screensavers to their operating systems. 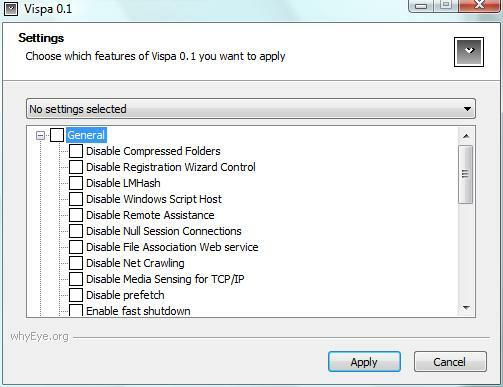 Several hacked versions of Dreamscene have been published that can be installed on other Vista editions as well but not on Windows XP. Microsoft however released a video screensaver for XP in 2005 which makes me wonder why they limited Dreamscene to Vista Ultimate only. 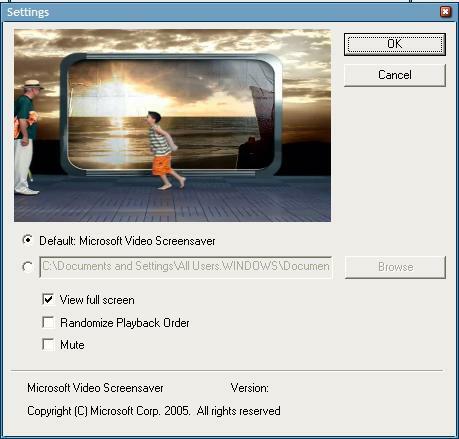 The Microsoft Video Screensaver should work on all versions of Windows XP and includes one video from Microsoft. You can choose to use one or more of the videos located on your computer instead. You do this by pointing to a folder that contains at least one video. Microsoft Brazilian Beaches, also called Microsoft Praias do Brasil, is a theme collection that contains four themes for Windows XP. 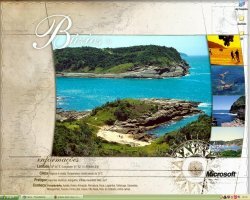 All four do change the general appearance of Windows XP including the background image which is showing an image of a Brazilian beach with additional information attached. If you are looking for a great mp3 search engine you should head over to Skreemr immediately. The interface looks pretty much like Google's interface. Just a search box and some links that point to some inner pages. All you need to do to get it working is enter a name of an artist, album or song and Skreemr searches its database for reference to your search string. A search for Linkin Park revealed more than 2300 entries. Each search results page contains ten links to mp3's with information about the absolute link to the mp3, a description, name and details as well as a basic music player that connects and plays the mp3. The file size is the most important information next to the song name of course because it can be used as an indicator of the quality of the song. I do not know why some users swear on iTunes and prefer to use it as their main software for their music collection. The biggest drawback in my opinion is that iTunes was designed to only work with iPods and not other mp3 players from different manufacturers. I personally think that it is a bit way of to install iTunes if you do not own an iPod but apparently some users are doing it. PStart is a nice handy application that makes it easy to start applications or open folders on your portable devices. One of the main disadvantages of Windows is that it uses absolute paths in its shortcuts which becomes a big problem if a drive letter changes. A click on the shortcut to the portable version of Firefox would return a not found error message if the driver letter of the USB device changed after the creation of the shortcut. Please note that the following article is a paid review. You can be sure that I’m only accepting reviews of products or services that I think are interesting enough to be mentioned on my website and that I would consider using myself or that I'm actually using already. Take a look at your CD, DVD, Game or Book collection for a minute. Do you see something that you will never use again ? I bet you do. What if I was to tell you that you could trade the media that you do not need anymore against new media that you are interested in ? This is the basic concept of Switchplanet. It is Friday again and as usual I'm writing about one great game for the weekend that will keep you occupied for hours or even days. This time it is another Tower Defense type of game. These games have become extremely popular in the online community and we will most likely see a lot of those games in the next months. Vector TD is a better Tower Defense game. 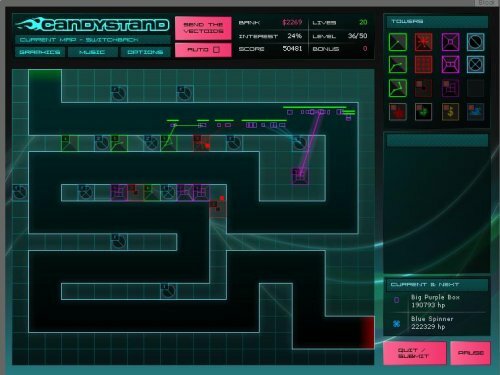 Your objective is to destroy the enemy vectors before they can reach the exit of the level. You loose one life for every vector that reaches the exit. The game ends when you have no lives left or when you beat all the levels of the game. A word of caution before I start the article. If you are easily offended by strong language or a minor you should stop reading right now and read some other articles on my site. No Good TV is a Internet TV portal that looks and feels a lot like the Joost or Bablegum with the difference that No Good TV is a web application. All you need is your browser to view the shows. The layout of the site is rather chaotic and it takes a while to get used to it - well, unless you like to watch MTV a lot. It really reminds me of the shows that are shown on MTV all the time these days. You can select to view various channels such as Down and Dirty, Dirty Music Videos or Reel Junkies. The default logon screen of Windows XP looks plain and boring and many users would like to change the background image and other elements of the logon screen to have a better looking interface. There is a sweet and easy way to replace the existing logon screen with a custom one by either downloading pre-made logons or creating one by yourself. You do need the software Stardock Logon Studio which is available for Windows XP and Windows Vista. This article concentrates on logons for Windows XP and a future article will do the same for Windows Vista.